Will you give the gift of safe housing on #GivingTuesday? It’s officially the holiday season–will you continue to celebrate the spirit of the season with Bridge Communities on #GivingTuesday tomorrow, December 1? Just $35 is enough to provide a homeless family with safe housing for one night. If you are able, please pay it forward and Give a Tuesday on #GivingTuesday. By making a gift, you’ll connect a homeless family in your community to a better, self-sufficient future. Post Your #Unselfie. Once you’ve made your pledge, click here to download and print your pledge sign. Take an #unselfie photo with it, then post it to your social media accounts on #GivingTuesday to let the world know you’re paying it forward. 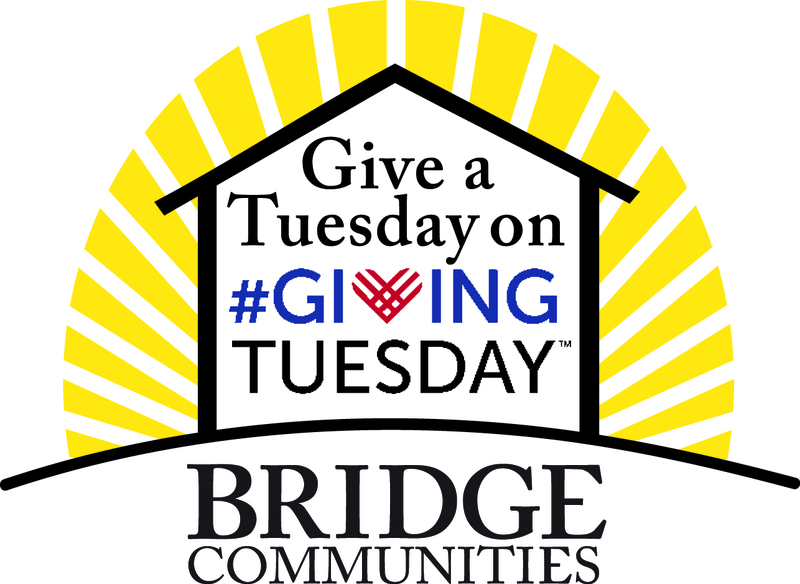 Please be sure to use the hashtag #GivingTuesday when you post, and link to Bridge’s Facebook page or website! Update Your Profile Picture. Make a statement of your support for Bridge families, and update your profile picture tomorrow. Click here to download a Facebook-friendly logo, and share on your social media accounts to spread the word about #GivingTuesday! Share Bridge Family Stories. Show your friends and family exactly why you’ve pledged to Give a Tuesday on #GivingTuesday: because of the Bridge families that need you. Click here for downloadable images and stories of Bridge families to share on Facebook and Twitter. Thanks for showing what the holiday season is all about. We appreciate you helping us spread the word and encouraging others to Give a Tuesday on #GivingTuesday!